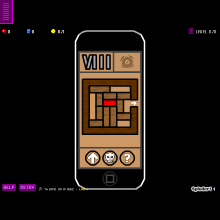 Based on the popular IPhone version and online Unblock Me, here is the Sploder version of the game with the combined look of the phone app. This is the alternative to Unblock Me 3D, which was cancelled. I hope you enjoy this game, but don't forget to comment, rate, and nominate! (Search Unblock Me 2 for the original levels) EDIT: I am sorry for infringing the copyright of various items. If this is becoming a problem, I can remove the game if voted by majority.